The Aztec Public Library held their end of summer party on Friday, July 29th and invited me to attend. 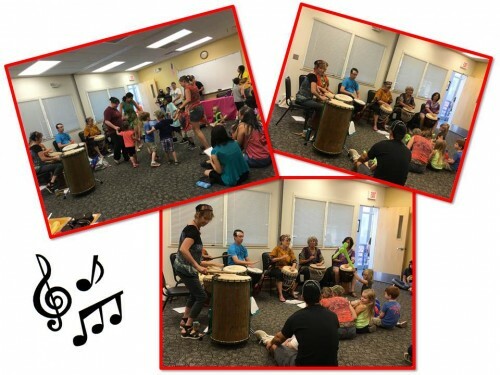 They had a local drumming group, ice cream sundaes and the drawing for their Summer Reading Program grand prizes. While I was enjoying my nice chocolate ice cream with chocolate syrup, mini M&Ms and mini chocolate chips they asked me to draw the names for the grand prizes. 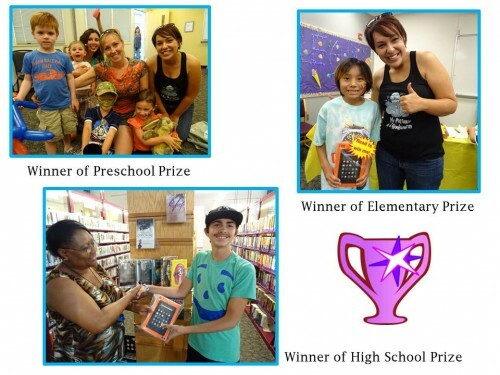 They had 3 categories: toddlers & pre-k, elementary, and high school with the latter 2 groups getting a Kindle Fire and the toddlers/pre-k receiving a beautiful rabbit Folkmanis puppet. The preschool grand prize was won by a daycare so many children will get to enjoy it! The elementary prize was won by a young lady who had actually read the most books out of anyone in the whole program, including the teenagers! And there were 4 finishers in the high school category and the Kindle went to a young man. 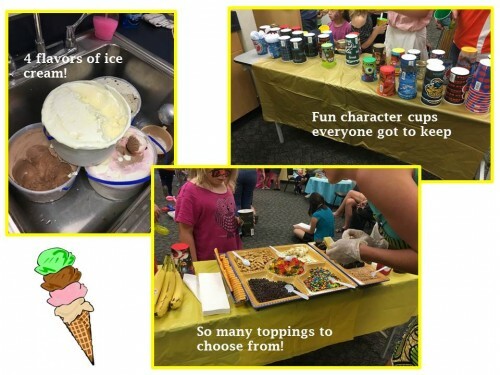 So glad I got to be a part of this fantastic event and not just because of the ice cream!